New York is a power city and is the residency of more than eight million people. ‘The Big Apple’ is the most densely populated city in the United States, an amazing city to wander around in. Be mesmerised by the twinkling lights of Times Square, behold the beauty of Central Park and climb the iconic Empire State building. Cheap flights to New York are now available for a limited period of time, so get ready to be captivated by this beautiful city. New York is home to John F. Kennedy International Airport (JFK), which is approximately a 50-minute drive from the city centre. The Statue of Liberty, enlightening the world, was a gift from the people of France to the United States and is recognised as a worldwide symbol of freedom and democracy. 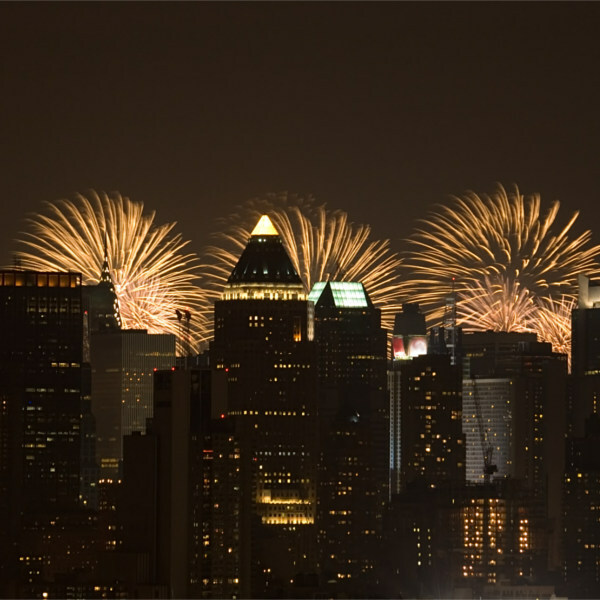 July 4th, also known as Independence Day, marks the adoption of the Declaration of Independence for the United States. On this day their independence is celebrated with fireworks. 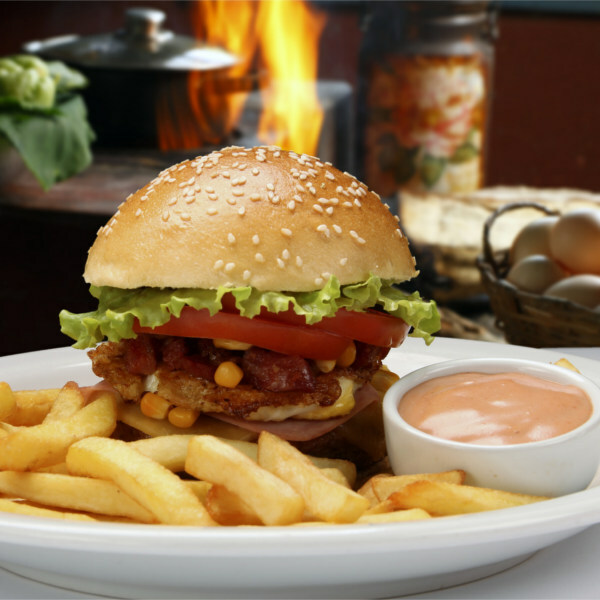 Don’t leave New York without trying their mouthwatering hamburgers, pizzas, steaks, barbecues and pastas. Make sure you have a ravenous appetite before you go, remember, “Go big or go home”. The best time to visit New York is during January to March, these are the months in which New York has the closest experience to an off-season. During the summer season prices for accommodation and flights increase. There are super cool events around this time of year like concerts, parties and Americans celebrate St Patrick’s Day. Generally, any time of the year is a great time to visit New York. The people are fun-loving, caring and outgoing and there is almost always a crowd everywhere you go. The city is so alive, it never really sleeps. There are restaurants, bars and nightclubs open until the early hours of the morning. Summer brings out the best in New York City with the hallowed courts of the US Open. School holidays in New York is a great jumble, there are crowds of people everywhere, and some parents with children also schedule their annual holidays round about this time of year. New York is a global power city, and is the residency of more than eight million people. This metropolis is also the most densely populated city in the United States. Situated on one of the world’s largest natural harbours, New York consists of five districts, each of which is a separate county of the New York State. 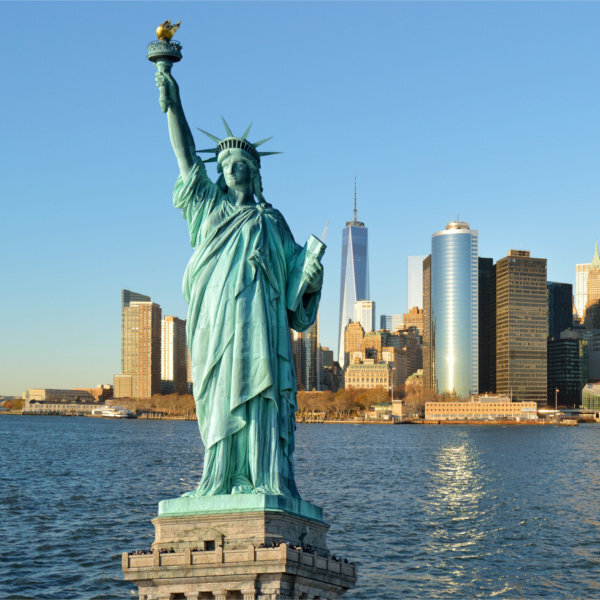 There is so much to do in the city whilst visiting, including seeing the iconic statues, monuments and major museums, like the Statue of Liberty and the Metropolitan Museum of Art. 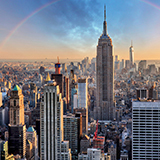 From the Wall Street concrete giants to the neon lights of Time Square to Central Park’s exquisite foliage, the City of New York pulses with an irrepressible energy. This destination moves to the beat of traditional restaurants and shops, historic streets and majestic brownstones. Compare several airlines, and book your cheap flights to New York online at Travelstart! Safety precautions should be taken in any country, and New York City is no different. Whilst there are no vaccination requirements for visitors to the United States, it is recommended that you check the city which you are visiting for any locally based outbreaks. Upon your arrival in New York, it is best to avoid any ride invitations, especially those in unmarked vehicles. Get to the hotel as soon as possible so that you can leave your luggage in a safe place. If you are keeping very valuable items with you, like a laptop, it is best to keep it in the hotel safe. Avoid answering the hotel door for anyone, make sure you look through the peep hole before opening. With so many yellow taxis in New York, it is best to avoid any unmarked taxis that do not represent a taxi organization. Bear in mind that it is always good to tip your driver. Where you stay in New York will not only impact how much you pay, but will also shape your experience of the city. If you like things quiet, then Manhattan is the place to be. The Financial district is mostly recommended for those on business vacations and those who like things a bit more peaceful, the only drawback is that it’s a long drive to many attractions. 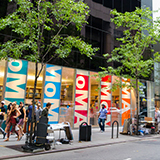 The Lower East side claims some of the city’s most vibrant shops and restaurants and is farther away from sightseeing. In the Soho area, the neighborhood is quite charming and the hotels are solely high end. 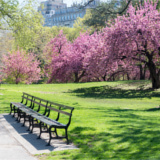 Greenwich Village still has that romantic appeal, great for people who want to spend time in intimate dining spots, its ideal and close to restaurants and shops and can get a bit crowded over weekends. A good range of accommodation both high end and moderate, can be found in Chelsea. Lake George is on the southern end, and is a major tourist attraction, sightseeing cruises are also a fun way to see the lake. The city’s transportation network is run by the Metropolitan Transport Authority and they make use of many forms of transit. Most visitors often confine themselves to one area, but you can rest assured that it is safe to take the metro-train, subway, bus or even a ferry and marked taxis. There are also the express trains you can take if you are in a real hurry. Express trains often skip about three stops for each one they make and are often indicated in a white circle on subway maps. There is one free ride available from the Downtown New York Connection, which has a bus running daily every 15 minutes and it will take you to areas like Battery Park City, World Financial Center and South Street Seaport. Taxis can be hailed at any street, if you can find an empty one. The only time when this becomes difficult is at 5 pm when the taxi drivers actually change shifts. You can also bike ride to and from where you want to be, New York is actually a cool bicycling city.